Whether you are looking for aeration and dethatching or a full lawn maintenance program, Brooks Landscaping LLC is here to offer affordable and timely lawn maintenance services. We offer many services as a maintenance company to provide the best and most comprehensive lawn services in Connecticut. If you’re looking for us to maintain your Connecticut lawn, Brooks Landscaping LLC is ready to provide the best services and quality. 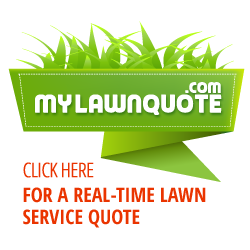 You can even get a free, instant maintenance quote for your lawn in a matter of minutes with us! At Brooks Landscaping LLC, we are able to provide you with a custom lawn maintenance program that provides you the exact services you need. We are committed to providing you the highest-quality service around. Our lawn specialists understand the needs of different types of grass and landscapes, so you can have the peace of mind knowing you have hired a maintenance company that has the knowledge get the job done right. Contact us today to get a maintenance quote for your lawn and leave the work to us! As lawn maintenance professionals, we don't just cut your grass, we can recommend and help implement anything needed to improve your lawn and landscape. We put a strong focus on quality products, equipment and personnel to make sure you have the best experience and results with us!